Masai culture is steeped in tradition, and their way of life is a lot like it's been for thousands of years. Even when you don’t recognize the name of the Masai, it's pretty likely that you've seen them. Yes, times are changing even for them, but mostly they still follow the same lifestyle as they always have. 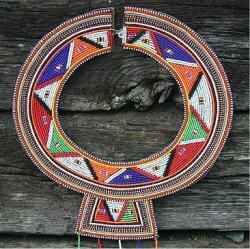 Not surprisingly, Masai culture is a far cry from the way we live in North America or Europe. The Masai live in Kenya and Tanzania, and most photographs of them show the tall, lean warriors dressed in red, and wearing beaded jewelry. They herd cattle, and live in huts made from mud and cattle dung. Masai gender roles are very distinct, with the men (warriors) protecting the people, and the women doing the household work. Though primitive in our eyes, they have a very interesting culture and way of life. The Masai god is called Enkai. Enkai is seen as male and female at the same time. 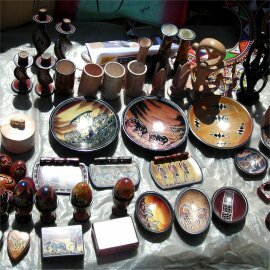 In the Masai religion, Enkai is believed to manifest in many forms, including in mountains, colors and the moon. A religious leader of the Masai is called a Laibon. They are believed to descend from Enkai and therefore have religious authority. They are believed to have the power to heal and to give prophesies. A Laibon isn’t a political leader but he does have the right to declare wars. A big part of the Masai culture is the role of the warrior, which is a period of life all men go through between boyhood and when they finally become elders. A Masai warrior is responsible for protecting the herds of cattle, as well as the villages themselves. The steps to becoming a warrior involve a number of age-based rituals and ceremonies, including circumcision. Living first apart from the rest of the tribe for many years, the role of the warrior changes as they finally get to have a wife and family, before then moving to the role of elder. A warrior can have more than one wife, providing he has enough cattle to feed such a large family. The center of all Masai culture is cattle. Wealth is measured in cows, and the majority of Masai diet is made from what they can get from their cows. They eat the meat, drink the milk, and on occasion will also drink the blood collected from the live cows. Their entire way of life revolves around the care of their herds. These people are nomadic and travel over large parts of territory in order to find fresh pasture and water for their cows. In fact, they believe that their god specifically created cattle for the use of the Masai. This belief led to widespread theft of cattle from other tribes and ranchers, as they reclaimed what they figured was already theirs. This is rarely an issue in modern-day Masai culture. The land held by the Masai people today has been reduced by the Kenyan government to create some of the world-famous wildlife parks, like the Masai Mara game preserve. Their lifestyle as nomads requires huge tracts of land, mainly to herd their cattle. Loss of land has forced some Masai to change how they live. The stretch of land between Kenya and Tanzania is known as the Serengeti plains, and make up most of the Masai territory. The region is mostly dry grasslands, and is particularly known for the wildebeest migration that takes place through here every year. As Western ways slowly change how they live, the Masai culture continues on it's own. How do the Masai dance? Masai land - Where do they live?